Staying consistently cool requires an air conditioning contractor who thoroughly understands cooling technology and has the skills needed to provide professional quality air conditioning services. Our experienced repair technicians are both prompt and professional and willing to answer any questions you have prior to beginning a repair. We pride ourselves in delivering excellent service to every customer. 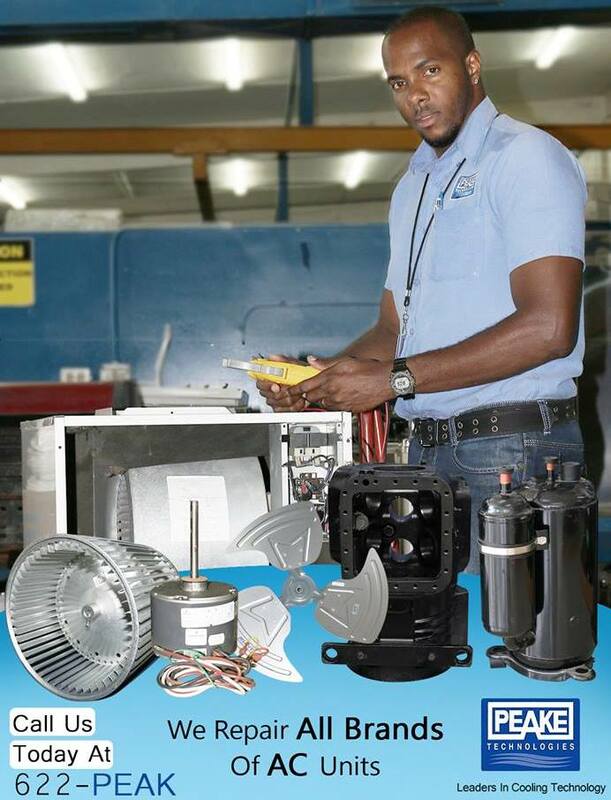 You don’t need to own a PEAKE air conditioning system or have even bought it from Peake Technologies – we repair all major brands of AC units, no matter where you bought it. Your air conditioner works hard to provide the cooling that helps keep you comfortable in even the hottest weather. So, periodically, you may find that it malfunctions and needs repair. When your AC unit breaks down, you need quick service from trained professionals you can trust. Our knowledgeable experts will see to it that your air conditioner is repaired promptly – before the problem gets worse. 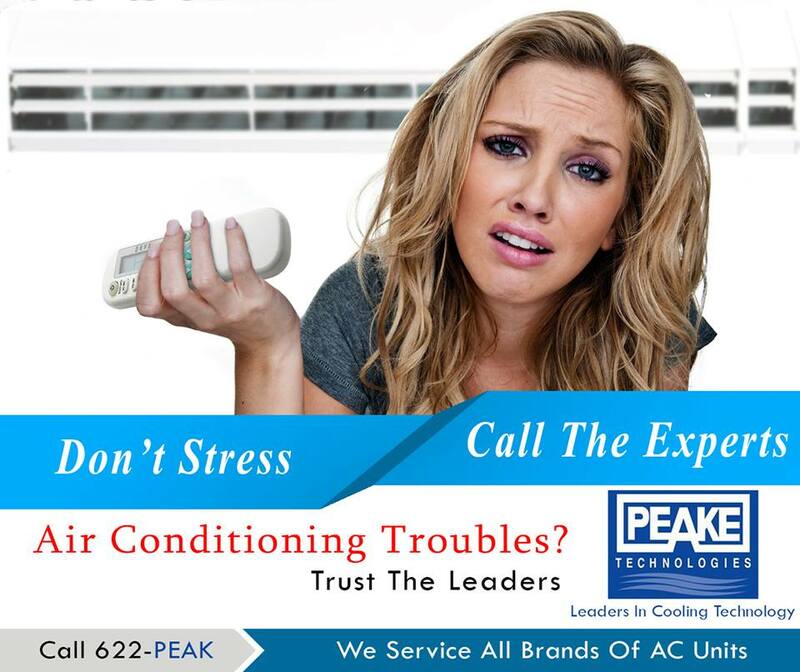 Peake Technologies operates round the clock to make sure that your home or business does not suffer when your air conditioning unit decides not to work. If you experience an air conditioning emergency after hours, you can get help by calling our after-hours service line on 688-7325. Air Conditioners are designed to expel the condensate water. If your AC is leaking water indoors, this is usually a sign of blocked drainage pipe or a dirty filter/evaporator coil. 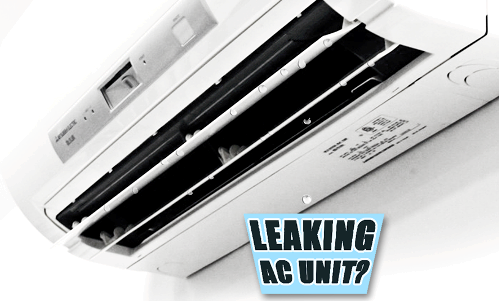 Our experienced technicians can service your unit and stop the leak. 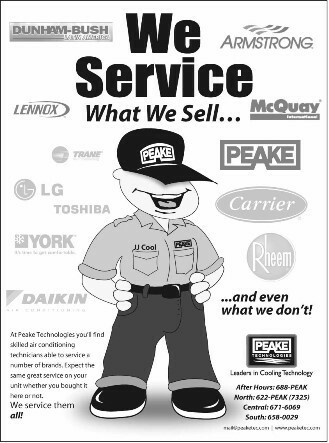 Peake Technologies is here to help you when you need it the most. CLICK HERE for more about servicing your air-conditioning units.